Achieve a brighter, whiter smile that exudes confidence with our cosmetic dentistry solutions at Beaufort Street Dental Centre! Our range of services can help you get a dazzling smile. Improve the contours of your teeth affordably by using resin or white filling. This cost-effective option can eliminate minor defects to allow for a more aligned, beautiful smile. This solution gives you a sensational look that makes a great first impression and will boost your confidence! 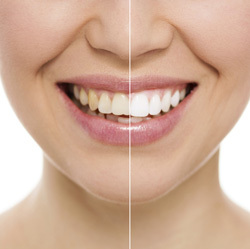 Porcelain veneers are long-lasting and durable. Resin veneers are a more affordable option with results that our patients love. In-chair and take-home teeth whitening are available at Beaufort Street Dental Centre. You can book a time to have it done in the practice, allowing us time to prepare all the necessary materials. The take-home kit lets you complete the whitening process in the convenience and comfort of your home. Schedule your time for a convenient Saturday appointment. Give us a call on (08) 9272 1956. We have free parking available on-site!